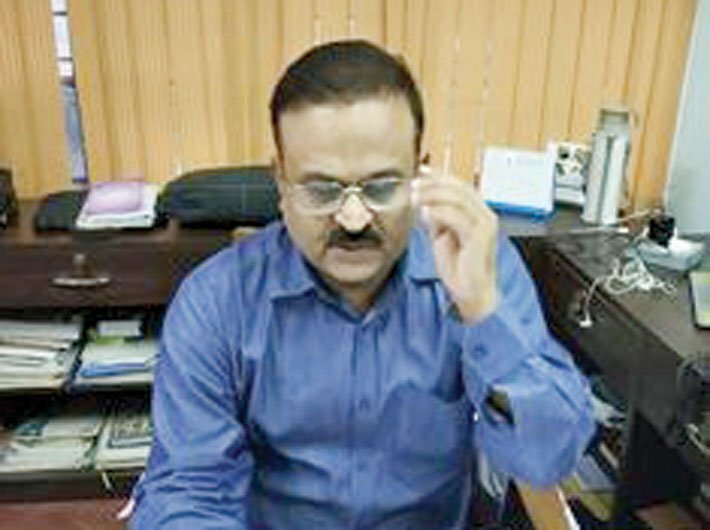 In an interview with Governance Now, Anil Kumar Jha, special DGP, CID, Assam, who is also nodal officer for the CCTNS project, speaks of what the system in its present form has helped his state achieve. What is the current status of CCTNS in Assam and its outcome? In Assam, the CCTNS has achieved all key milestones in terms of project implementation despite having geographical difficulties and resistance towards IT enablement across the state. A database of 3.94 lakh crimes is available on real-time basis. We are setting a benchmark at national level to integrate CCTNS with e-district application for permanent residential certificate (PRC) services. About 11,000 PRC applications have been processed. The MIS dashboard for search analytics and various crime reporting tool has been facilitated to supervising officers for investigation and search of crime and criminal-related informations in a realtime basis. Since when did Assam police get access to national crime database? The access to national database has been provided to the state since August 2017. The access of national database has provided the search facility for 11 national level searches and 45 types of reports. CCTNS Assam is currently using the national-level search at state level and efforts are on to provide the access to district as well as PS level. What are the key citizen services offered by the state police through the online portal? Assam police launched a total of nine citizen services since January 2016. Citizens need not visit police station and can avail the services online without visiting the police station. The citizen services include tenant verification, domestic help verification, employee verification, character certificate, protest or strike request, procession request, event performance request, vehicle inquiry, C-form registration and complaint. What are the key outcomes expected of the project? When the rollout is complete, we expect a hundred percent migration to online system for police functioning for case and crime-related investigation process. We would have a mobile application to provide mobility to access services by citizens. Also, we would have the following services online: MACT certificate to accident victim for online processing of cases, arms license issue and renewal, NOC for vehicles transfer (RTO) and stolen vehicle certificate for insurance claim. What is the status of core application software (CAS) deployment? The latest version of CAS 4.5 version of core application software was released by the NCRB to all states and UTs. It’s being used currently by CCTNS Assam. The final version of CAS 5.0 is expected to be release by the NCRB by this year. All versions of CAS since CAS 3.0 are STQC certified and audited. After the release of any new built of CAS, the build is tested at state level for user acceptance and bugs were rectified. However few bugs are there which gets identified at field level after rollout. What are the key challenges being faced in project execution? The network connectivity and CAS application issue is one of the prime challenges that is being faced at the state level. The average link speed is less than 512 Kbps, whereas CAS needs at least 2 Mbps stable link. Seventy percent of upgraded 2 Mbps Link provide less than 512 Kbps upload speed. The police stations are unable to work using “ONLINE CAS” impacting citizen service and digitisation. Radio frequency (or VSAT) link is not cost effective. In relation to CAS, we are still doing multiple paperwork due to lack of integrated services with court, forensic labs, prison, hospitals, etc. The CCTNS system is not helping to generate all-India report and duplication of effort for police. The citizen portal doesn’t allow online FIR submission due to signature constraints. The system can be integrated with Aadhaar for ID verification so that citizen can submit online complaint and FIR.